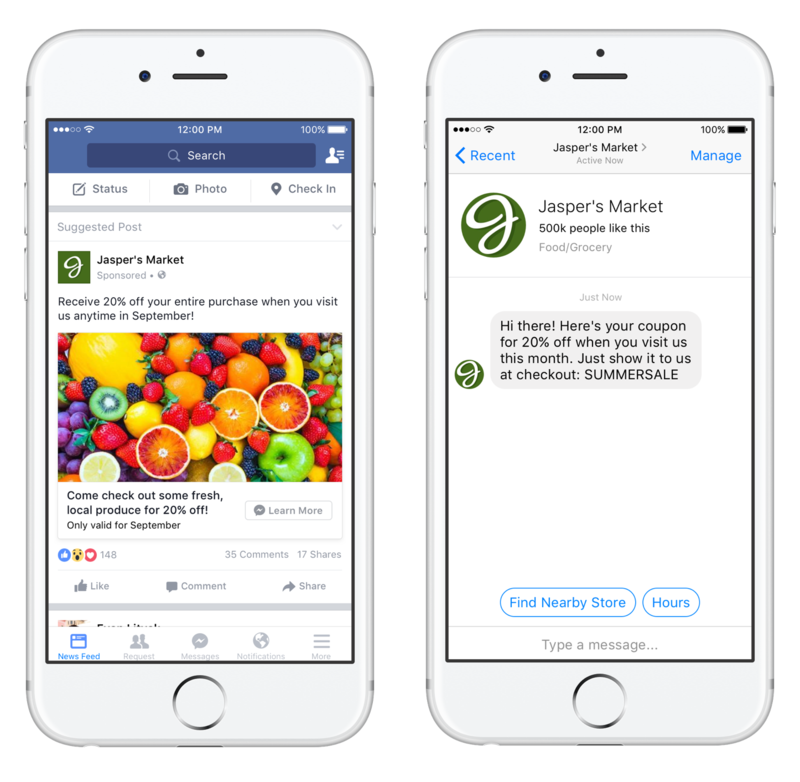 Facebook Messenger ads are the newest form of advertising offered by Facebook. Messenger ads are innovating how brands engage with their customers. Before Facebook Messenger, businesses had to rely on phone calls and email responses for a chance at two-way conversations with customers. One-way conversations, like emailing the same message to a large email list, don’t encourage high levels of engagement or lead conversions. You need to speak one on one with a lead to ensure they make a purchase. In an effort to avoid frustrations and wasted time, customer preferences have shifted over the years with fewer people jumping at the chance to call businesses to answer a few simple questions. People have become more accustomed to sending text messages to their friends and family as opposed to speaking over the phone. Over 56% of people prefer to send a message rather than make a call. Why wouldn’t the same be true for contacting businesses? Well, it is. More than half of people are more likely to shop with a business they can message. Facebook Messenger ads actively engage your audience and build a relationship during the customer journey. Messenger ads allow you to bring the conversation where your audience already is. 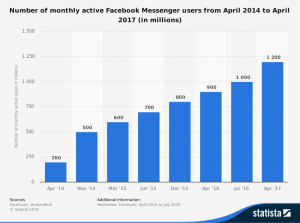 Over a billion Facebook users are actively sending messages through Facebook Messenger every month. Even our grandmothers use Facebook Messenger to talk with their friends and family. Over 2 billion messages sent every month are between users and businesses. Why wouldn’t you jump at the chance to encourage easy two-way communication with leads through Facebook Messenger ads? Make it easy for you to answer questions and get to know your leads and customers. 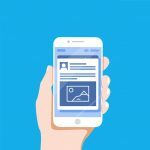 There are two distinct types of Messenger ads that will help you drive traffic and engagement to your Facebook business page messenger. Destination ads are pay-per-click ads similar to your other Facebook ads. 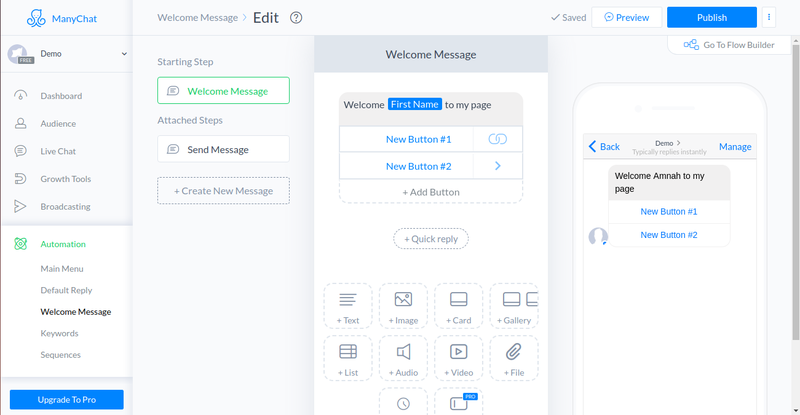 They can have a picture or video with an accompanying CTA button and appear in news feeds, sidebars, as well as the Messenger app’s home page. Destination ads drive traffic to a conversation instead of a static landing page. Once a user clicks on the CTA, Facebook opens a conversation between your business’s page and the user. You can even set up an automatic message so that the user doesn’t see a blank Messenger chat. Sponsored messages are pay-per-impression ads that appear in a user’s Messenger inbox just like any other message received from a friend. These ads can only be used as a reengagement tool and sent to users that have already engaged with your brand through Messenger. Facebook doesn’t want you spamming users that have not already shown interest in having a conversation with your brand. Sponsored messages are similar to an email list. They are not interchangeable in the fact that your messages should be individualized and personalized. You are having a two-way conversation with each Facebook user. Facebook Messenger ads can easily nurture customers through the entire Customer Journey from start to finish. Facebook Messenger isn’t just a customer service tool; it is a tool that drives questions, purchases, and feedback. Yes, you can use Messenger for customer service, but you can also get to know each customer and build a good rapport with leads and customers. The Customer Journey is a way to define how best to market to your customers. By understanding all 3 steps of the journey, you will gain more leads and customers. Awareness – The customer realizes they have a problem. Consideration – The customer seeks answers to their problem through research. Decision – The customer decides what company, product, or service will best help them. Facebook Messenger ads engage awareness. You should present a problem a prospective customer might have. Showcase your products and services and pose a question. Help them realize they want or need a product or service from your business. A destination ad catches an audience member’s attention and sparks a conversation. In a conversation, Facebook users will ask you questions about what your brand does and how it can help them. Use this to organically build up a sales pitch by answering their questions and understanding what aspect of your brand would be the most appealing to them. 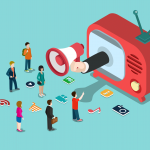 Sponsored Messages can be used to re-engage audience members that have previously shown interest in your brand and have stopped communicating or have not yet made a purchase decision. Keep the conversation going and you are sure to gain loyal leads and customers. Manychat is chatbot software application that makes Facebook Messenger ads more successful and even easier to use. Facebook Messenger ads become a seamless process with Manychat by allowing businesses to set up chatbots without having to know anything about coding! The biggest advantage of Manychat is that you can send messages to a subscriber list without having to worry about paying-per-impression through Facebook, which can get quite expensive with a large subscriber base. Everything is paid monthly through Manychat. Once you have set up Manychat with your Messenger account, you start building your subscriber list as users message your business page. Set up customized, scheduled, and segmented automated message sequences to market to your subscribers. Manychat offers a number of growth tools to integrate with your Facebook Messenger ads. We find that the most useful and powerful growth tool available is the Comment-to-Message tool. This tool allows you to grow your subscriber base by encouraging users to comment on a Facebook post, regardless if it is an ad or not. Ask them a question or offer them a downloadable. Their comments prompt your chatbot to send a message related to the content of the post. Once they respond, you acquire a new subscriber. You need to keep in mind that this is not your email list. Facebook users do not want to be spammed through Messenger because they associate it with talking to friends. They are not used to receiving a ton of messages they can ignore like they do with emails. Technology Advocate Group can help you implement and maintain a successful Facebook Messenger Ad campaign. We can help you nurture your customers through their journey with Messenger. Learn more about how TAG can help you unlock your business’s Facebook Advertising success.